When starting out with family history research genealogists usually rely on centrally held records gathered by the government i.e. birth, marriage and death records, and censuses. In Ireland this is not the case. 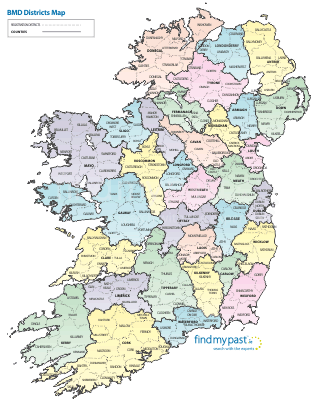 For example the only surviving full censuses for Ireland are the 1901 (31 March) and 1911 (2 April). Almost all of the nineteenth century census records in Ireland were destroyed. While this makes things a little less straightorward there are ways to trace your family in Ireland. To discover details about the lives of ancestors who lived during the 19th century (1800-1900) Irish family historians use ‘census substitutes’, particularly land and estate surveys. These land records have details of landowners and their tenants and help fill in the gaps left by the loss of the 19th century censuses. Read section 2 to find out more about these records and where to find them. Civil registration i.e. by government, of all births, marriages and deaths (BMDs) started relatively late in Ireland (1864). Before this date individual parish churches recorded baptisms, marriages and burials in register books. Most of these records are still held in the local churches. Read section 3 for more information on where to find pre and post 1864 BMD records. 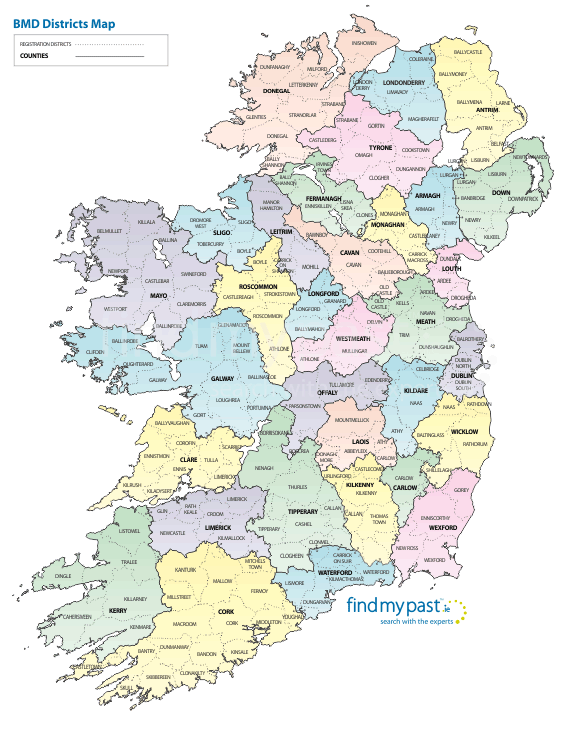 Read the rest of this guide to learn about the main sources for Irish family history research, both on findmypast Ireland and elsewhere.